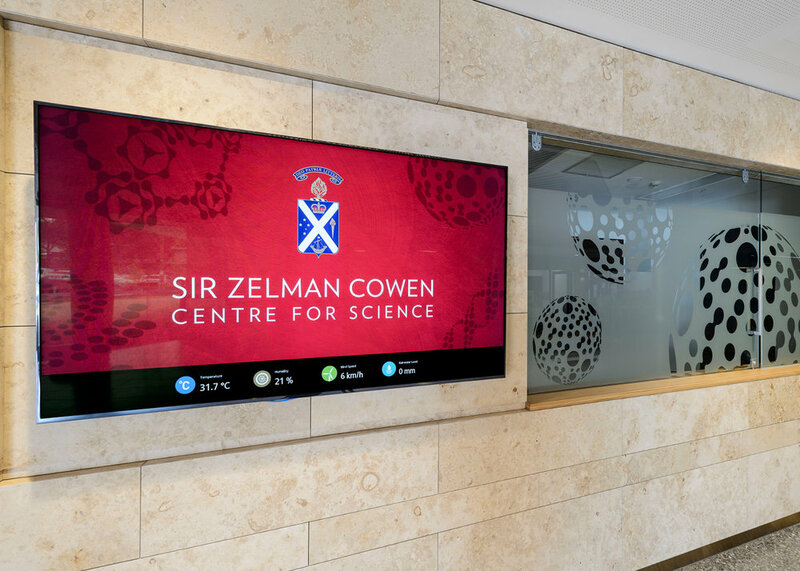 The Sir Zelman Cowen Centre for Science sets a new functional benchmark in the design of teaching, lab and preparatory spaces within the Education sector. 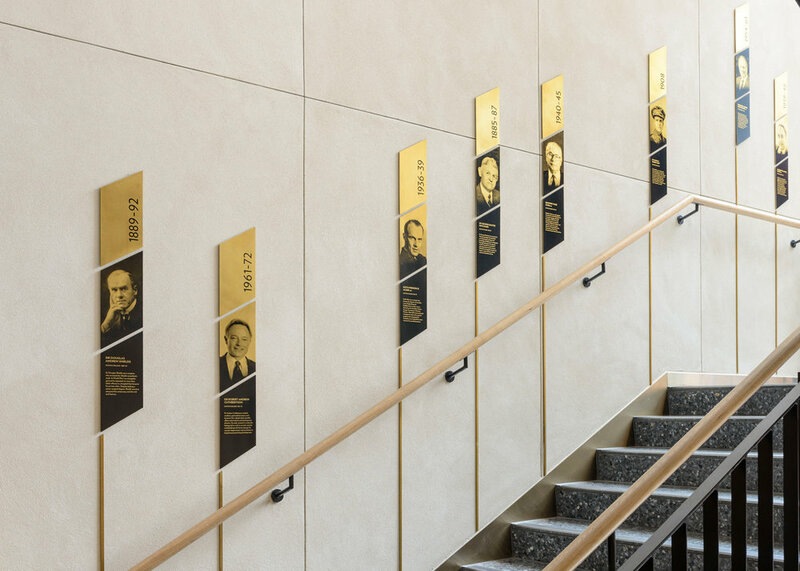 The new building was designed by Cox Architecture. 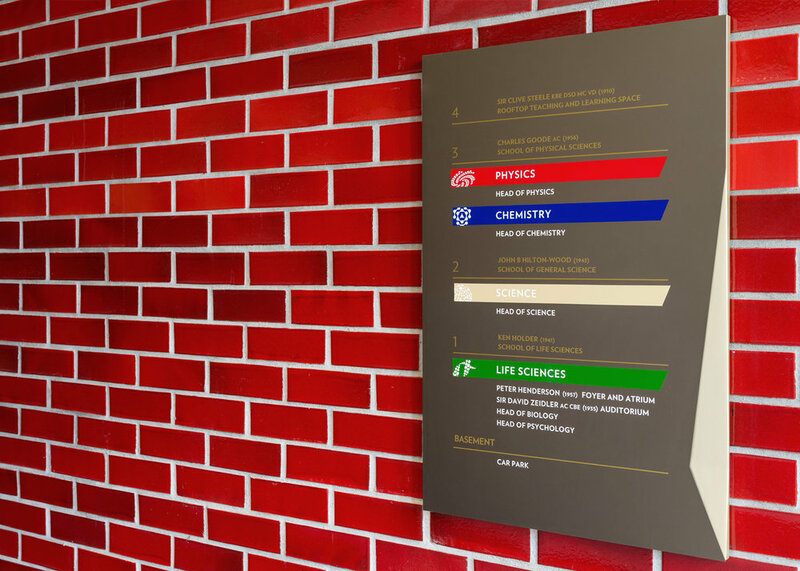 BVD were engaged to develop all signage and interpretive elements throughout the building. 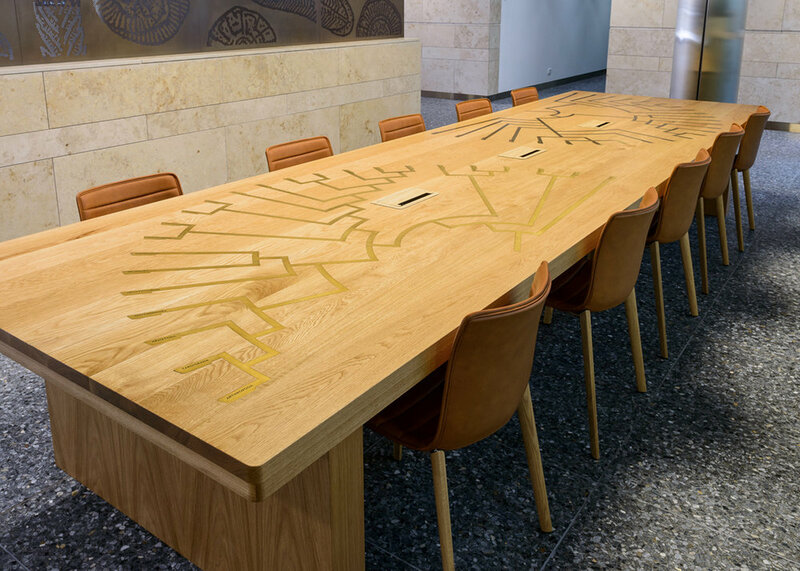 Working closely with the Architects, and key science communicators BVD developed a suite of graphic products which helped reinforce the notions of learning through engagement and questioning. 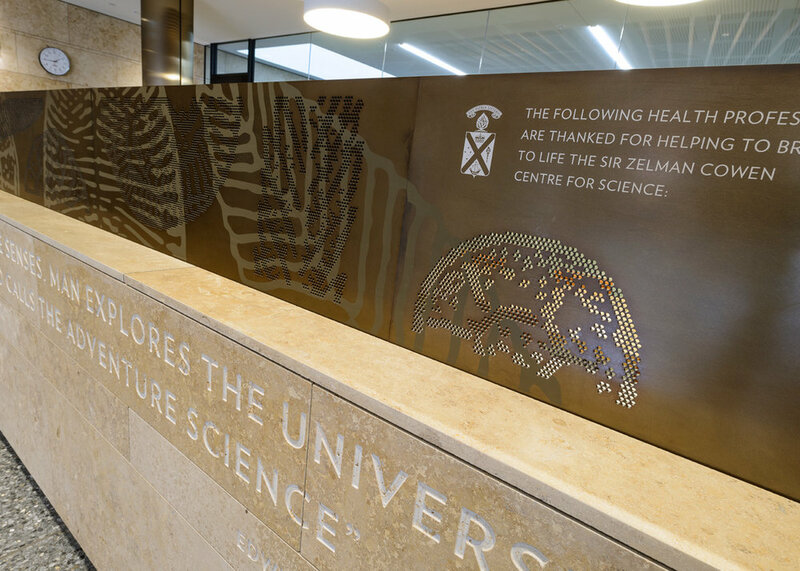 Installations covered the achievements of past Scotch Collegians and acknowledgment of significant donors and contributors to the centre.